Ambi Pan is a 3D panner for cinematic VR. It lets you create 3D positional audio in a minute, ready to embed in Youtube 360 videos. Two different panning views, from above or equirectangular, offer flexibility to design complex trajectories. 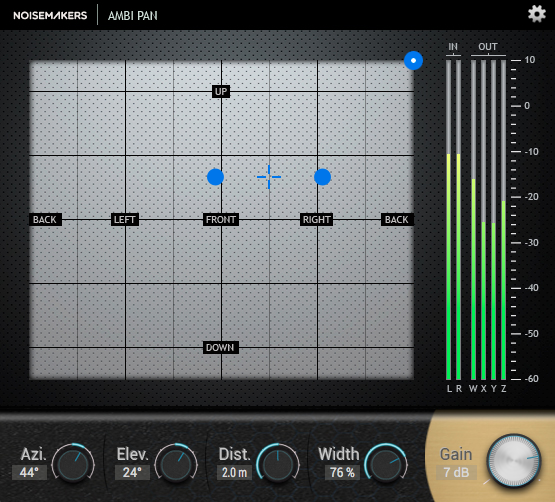 Ambi Pan converts your mono or stereo input files to 4-channel Ambisonics. 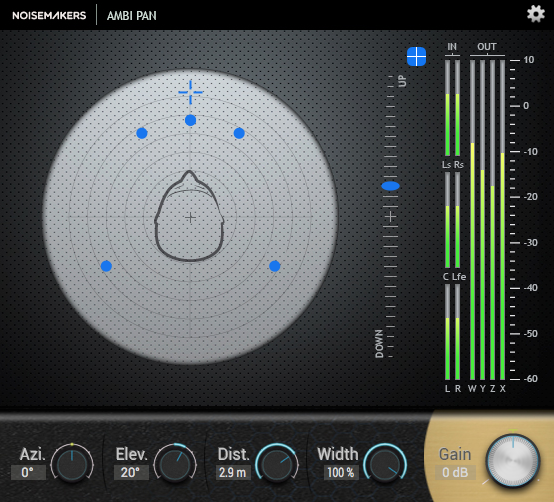 It applies 3D positioning to the input sound : azimuth, elevation, distance and spatial width. This is controlled very easily thanks to two different pads, both designed to provide simple yet efficient 3D visualization. The output is a 4-channel ambisonic stream, either in ambiX (supported by Youtube) or FuMa formats. To listen to this stream in your DAW, you need an additional Ambisonic decoder. For example, Ambi Head lets you hear the result in binaural. When targeting Youtube 360 videos, just export the ambiX output of Ambi Pan. The procedure is described in the manual. For more questions and troubleshooting, please visit Ambi Pan/Head FAQ.